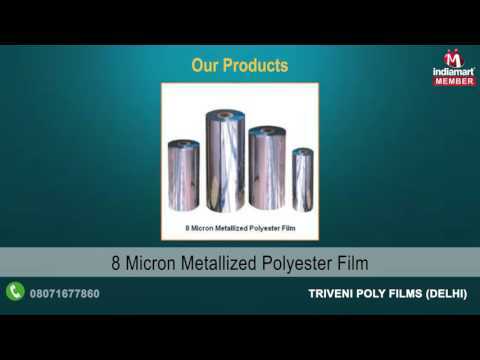 Established in the year 1996, we, Triveni Poly Films, are a noticeable firm indulged in manufacturing an impeccable array of Metallized Polyester Film, PVC Lamination Film, Metallized PET Films, Hologram Polyester Film and many more. Our offered films are known in the market for water & chemical tolerant, fade resistant, uniform thickness, smooth & glossy finish and cost-effectiveness. Moreover, these products are highly in demand amid our patrons for durable, damage-resistant, high temperature resistant, weather resistant and scratch free.